You have likely read about them, have a friend or family member that has tried one, or been wanting to give one a try yourself. DNA testing kits are all the rage nowadays, and are used by people of various backgrounds to learn about themselves and their family’s history. We’ll look at DNA kits and their accuracy, as well as the basics of DNA and how it can be harnessed to learn about your past, present, and in some cases, your future. What Does Accuracy Really Mean? Let’s first identify what we mean by accuracy. 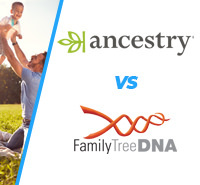 The mainstream home DNA kits claim to read your DNA and either match you to other people in the database as family, build a family tree for you, or both. So when we question if they’re accurate, what we really mean is how well can these tests identify if you’re related to other people in the database. The most straightforward answer is, pretty well. If you’re white caucasian from European descent the test might reveal more information about you than someone with different heritage, but that’s only because the databases of these major companies match that heritage. Another factor to keep in mind is that the companies utilize a statistical approach to ancestry, which means that they only tell you how probable your ancestry is. When viewing your results you’ll notice that every relationship has a percentage next to it, which is the likelihood of accuracy. There are some incredible stories of DNA kits providing people with answers to their questions, and assuring them that the stories they’ve heard from their grandparents are in fact true. One example of how accurate DNA kis are is with the story of 3 identical triplets who used 3 different DNA kits to test each one’s accuracy. The story was featured on The TODAY Show, and the prediction was that the tests would provide answers, but answers far less detailed than the triplets received. The 3 sisters were filmed sending in saliva and cheek swab samples to 3 popular companies – 23andMe , MyHeritageDNA , and AncestryDNA . Much to their surprise, the results from all 3 companies were identical. All kits gave the same results, predicting the same ancestry for each individual sister. Additionally, each test said that there was a 100% relationship match to the other 2 sisters. This is just 1 of many stories that show the extreme accuracy of DNA tests. DNA testing works by analyzing your specific DNA and comparing it to other samples. The aim is to find similarities or differences in the genetic markers, which can then provide answers. A shortcoming of the science is that the analysis of the DNA is done by comparing it to other samples in a database. This means that the tests get more accurate as the size of the company’s database increases. For this reason, it’s best to choose a company with a large database if you’re looking to find answers regarding your ethnicity, ancestry, and where your family comes from. There are 3 main types of DNA tests available – autosomal (atDNA), mitochondrial (mtDNA), and Y-chromosomal (Y-DNA) – each one useful for different purposes. An atDNA test analyzes 22 out of the total 23 pairs of chromosomes. These chromosomes are inherited equally from both parents, which means they can be used by both males and females. A person gets half of their markers from each parent, a quarter from each grandparent, an eighth from each great grandparent, and so on. Because of this, an autosomal DNA test is the best kind of test for finding a range of relatives. It’s important to keep in mind that results get less reliable the further back you go because autosomal DNA changes every generation. An mtDNA test checks mitochondrion, a component of the human cell. Mitochondrial DNA is passed down from mother to child, which makes it possible to trace back a direct maternal ancestor. A mitochondrial test gives incredibly precise results about ancestors and distant cousins, but only from your mother’s side. It can also help you learn about certain regions you may come from, your ethnicity, or family group. Y-DNA tests examine genetic information from the Y chromosome only which are only found in males. They can therefore only be taken by males and only provide paternal information. Similar to the mtDNA test, these are good for tracing previous generations. After taking a DNA test, you will be able to view your results—either online, in print, or both—which breakdown your ethnicity by outlining the regions you likely come from. For example, a possible ethnicity estimate could be England with 41%, Ireland with 28%, Denmark with 21%, and Sweden with 10%. This ethnicity estimate can also help you discover what religion your ancestors practiced. Many DNA testing kits also provide ancestral reports, which determine how closely related you are to someone else. This can help you learn about your parents or grandparents if you’re adopted, and even help you discover long lost relatives you never knew existed. Many companies also offer family tree building software that fit your family’s puzzle pieces together to create one clear picture. 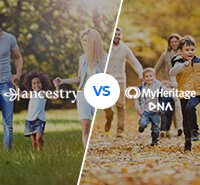 A leader in the DNA testing space, MyHeritage, has one of the largest international networks of family records and family trees – 8.8 billion, and growing. There are also paternity-specific tests that can confirm if someone is indeed the father of a child—some that can even be performed prenatally. 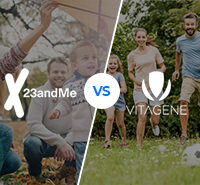 Additionally, certain kits like Vitagene can use your DNA to tell you about your health. This can warn about genetic diseases that may run in your family and life changes you should implement that may help to ward off the disease. The company is backed by physicians, experts, and universities, and its DNA results include a personalized fitness plan for your specific level of health. It also tells you the vitamins or minerals your body is lacking, and which you should be taking more of. The test is also good for people who have tried diet after diet but still can’t seem to find the one that gets them the results they want. Because Vitagene uses your DNA and cell data, all the information is specific to you. With so many DNA testing companies out there, it’s important to choose a reputable one with positive reviews. Aside from MyHeritage and Vitagene, there are top companies like LivingDNA , 23andMe, and Ancestry. LivingDNA is best known for its biogeographical ancestry results and its emphasis placed on security and privacy. This is desirable, as taking a DNA kit means your information will be seen and examined by others. Other services like 23andMe and Ancestry are known for their millions of customers and accurate test results. 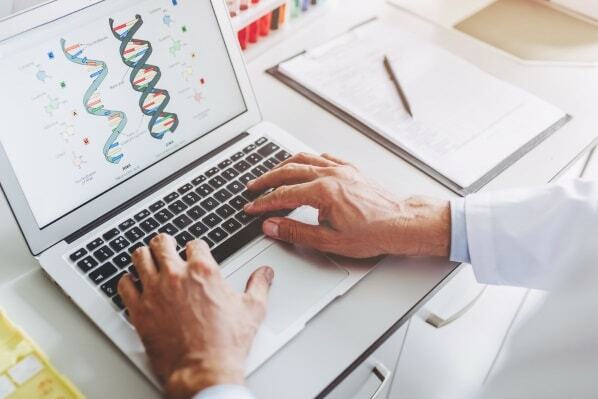 23andMe provides over 75 reports on your health, traits and ancestry, and can help you discover where your ancestors originated from over 150 different regions. And with over 17 billion searchable records and 2 million new records added every day, Ancestry is a top choice. 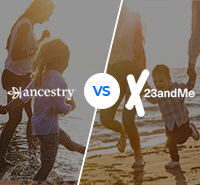 With so many other users in the databases, these companies are getting better and better at building families and identifying who we’re related to. It’s becoming clear that DNA kits are all they’re talked up to be, and more. No more questioning and wondering, as everything you want to know can be found in your DNA. So look into each DNA kit company, get swabbing—or spitting, and prepare to discover information about yourself you never knew.